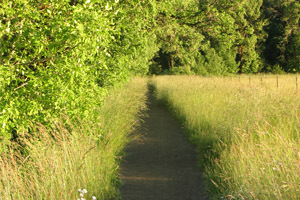 The Greenbelt Land Trust Trustee Council are a group of committed individuals who have served the organization for years in various capacities, and who continue to support our work by strengthening partnerships, developing relationships within their community and serving as educational ambassadors for the work of the Trust. As a founding Board member of Greenbelt, Maya knows all there is to know about the early days of the Trust, and the work it took from volunteers to ‘steer the ship’ in those crucial early years. 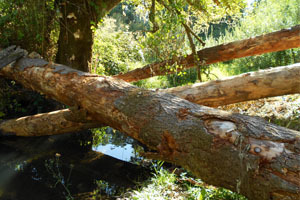 After a decade-long re-location to Wisconsin, Maya and her husband Stewart arrived back in Corvallis in 2010 and immediately re-immersed themselves in all things Greenbelt. As a Trustee, Maya is constantly working to raise awareness of the importance of conservation work, whether she’s bringing friends and neighbors out for a walk on a protected property, or hosting a house-gathering for neighbors to learn more about the Bald Hill trails in their backyard. 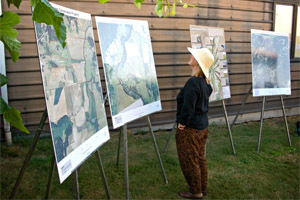 Since retirement as a Biochemistry research assistant professor at OSU, Ann and her husband Doug have emerged as community leaders, combining interests at Greenbelt, Corvallis Audubon, Ducks Unlimited, and the Corvallis Chapter of the League of Women Voters. When birding trips are not taking them to far-flung locales like the Galapagos or Kenya, they are here, serving our local community. 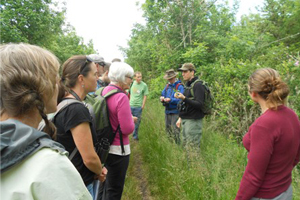 Ann serves as a Volunteer Naturalist for Greenbelt, and in 2015 Ann and Doug were awarded the Charles Ross Award in recognition of their service. Nancy is continuing a family legacy at Greenbelt Land Trust that started with her parents, Charles and Elsie Ross, founding the organization in 1989! 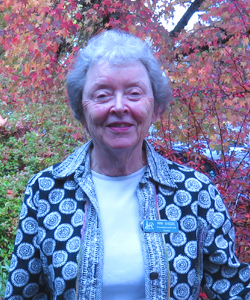 Since serving on the Greenbelt Board from 2006-2011, Nancy has continued to provide support to the Trust, and has recently finished a historical biography of Chip Ross Park, the first open space protected by the Ross Family in 1979. 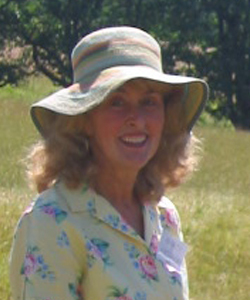 After a long teaching career in the Corvallis School District, Nancy became a tree farmer, winning Benton County’s prestigious Small Woodlands Tree Farmer of the Year award in 2009 and served as Oregon Small Woodlands Assoc. president, the 2nd woman in 50 years. 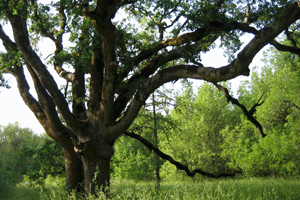 Steve left the San Francisco area in search of a land where humans had not yet, as the song says, “paved paradise to put up a parking lot.” After college, Forest Service, and “New Town” studies in Europe, Steve found paradise in Corvallis. 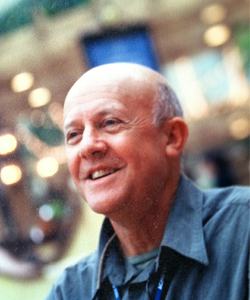 Here he taught at OSU in the Architecture /Landscape Architecture Dept. and later was a Corvallis City Planner. 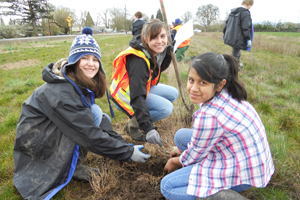 Steve’s past students sought answers on how to protect the paradise of the Willamette Valley. Not until Steve met Charlie Ross, over 25 years ago, did he have a new answer for them. Charlie’s vision to pull talented, committed, people together to start the GLT inspired Steve to serve as a founding Board member. 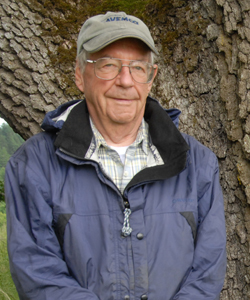 Jack served on the Greenbelt Board from 2008-2013, taking over a similar 6 year post from his late wife Barbara. 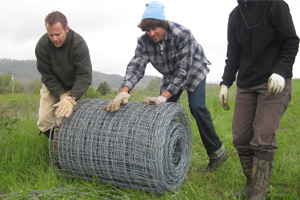 Jack is a committed volunteer, from helping pull invasive species, to tree plantings and educational walks – Jack gives of his time generously to Greenbelt Land Trust. 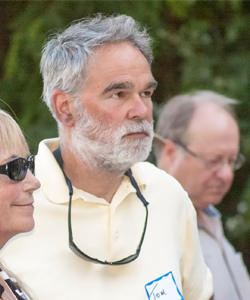 In addition to serving as a Trustee, Jack sits on the Trust’s Finance Committee, helping to ensure the financial stability and growth of the organization. He has also recruited another family member, Lisa Mykrantz-Brown onto the Greenbelt Board, continuing a long family legacy with the organization. Since serving on the Greenbelt Board from 1997-2001, Tom has continued his work with the Trust through active volunteer roles. 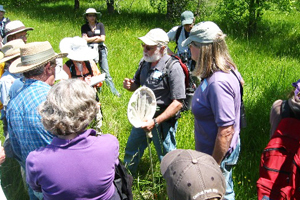 Retired from the EPA, Tom also sits on the Benton County Environmental Issues Advisory Committee, serves as a Volunteer Naturalist with his wife, Marcia, at Bald Hill Farm during the summer months, and is a Master Recycler through OSU Extension. As a Trustee, Tom helps to raise awareness about Greenbelt’s work throughout our community, coordinates with staff to implement sustainability practices at Greenbelt events, and gets his hands dirty in field work with Stewardship staff. After providing leadership on Greenbelt’s Board for 12 years (1998-2010), Cary’s dedication continues in his service as a Trustee. 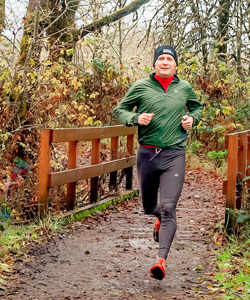 A partner at Barnhisel, Willis, Barlow, & Stephens, PC, Cary combines his love for running and conservation by putting on the annual ‘Run for the Hills’ trail run, race, and fundraiser for Greenbelt. As a trails champion, Cary has helped natural area managers steward our trail networks and organized volunteer trail crews. 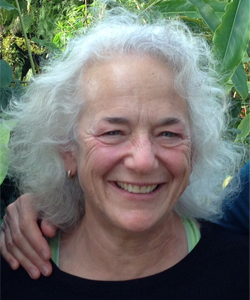 In addition, Cary has served on the Downtown Corvallis Association Board, the Citizens Open Space Advisory Committee, and is a current Board member for the Institute for Applied Ecology.